Happy hump day. Today we will be taking a look at the Magpie Goose and what you can expect, from the gear, to the mechanics and everything in between. Then, just to add to the hype, I mentioned last stream that this week I will be dropping a hint as to a HUGE new gameplay enhancement that is nearing the end of its tests. Now, I had never even heard of these birds before they started talking about them here at EW. So I even had to do a little research on them myself to make sure I knew what I was talking about. If anyone else is interested the Wikipedia entry is worth a little read. These birds actually have a lot of historical significance in Australia and New Guinea. So how are they going to work in the game? Like other waterfowl, having a good blind and decoy setup will be the most effective way to hunt the Magpie Goose. 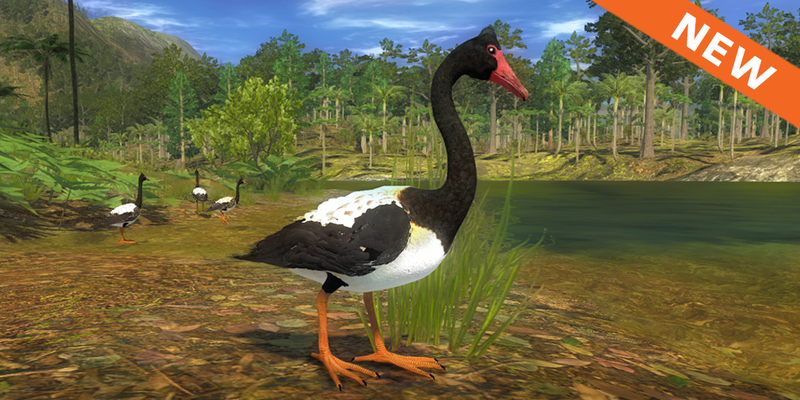 However unlike the other waterfowl species in the game, the Magpie Goose can land on both water and land. This will mean setting up a blind and decoys has a new little twist to it, be sure to find an open waterway with a neighbouring open piece of land as well, easier said than done in Piccabeen Bay! Like the other waterfowl species it is possible to come across grounded birds, so keep an ear out for their distinctive calls as you make your way across the map. There are three static Magpie decoys and one mechanical decoy with animated wings. Each static decoys has a probability of attraction of 1/24 and each mechanical decoy has a probability of 6/24. Whatever combination you decide on for your blind setup, having a value of 24 is the maximum attraction you can achieve. For instance I might have 2 Mechanical Decoys and 12 Static decoys which gives me 24/24 attraction. If I added 5 more static decoys and one mechanical, this would give me 35/24 attraction and I would be better to setup a new blind in another location on the map, as the additional decoys have no extra affect in the area. Three different callers are available, the ‘Long Range’ caller, ‘Short Range’ and the ‘Flag Lure’. Much like the other waterfowl species the ‘Long Range’ caller or the ‘Flag Lure’ should be used when a flock is spotted as these are designed to increase the chance that birds will break from the passing flock. Once you get some breakers you then need to quickly switch to the ‘Short Range’ caller, this is the final ‘Hey we are over here’ call that is needed to bring the broken birds closer to your decoys and blind, making it easier to shoot them. The more people you have with ‘Long Range’ callers or ‘Flag Lures,’ the higher probability you have of birds breaking, so make sure all your blind buddies have callers on them as well. It is also worth mentioning that the Canada Goose callers have a 50% chance of attracting the Magpie Geese as well. Your retriever is also going to be handy with these birds as you can stay in your blind as he does all the leg work for you and will bring them back in! As per usual we will not be too specific about the scoring, but like the other waterfowl species, weight is the key factor here and there are some very nice rares out there to be found. We look forward to watching the community work out the best spots to set up blinds and I am also intrigued to see who manages to shoot the first rare! Good luck and don’t forget to check out the handy bundles which offer good savings! 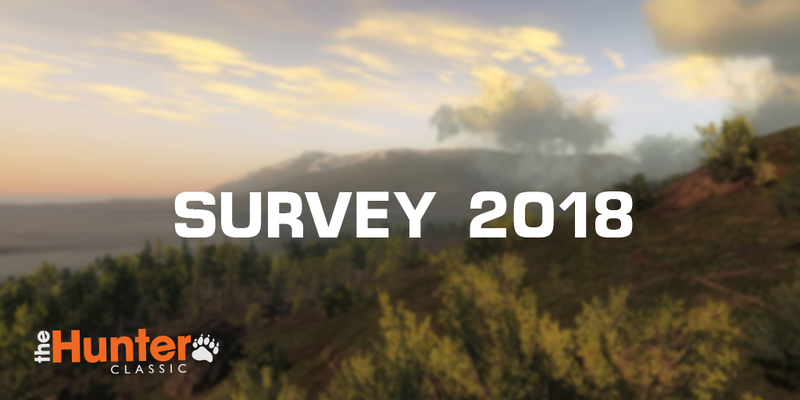 It is that time of the year where we invite you to participate in our annual player survey and you have your chance to have a say in the direction of this amazing game. Just for participating you have a chance to win yourself 1000em$, so don’t miss out! Click here to participate in the Survey. I have said since the start of the year that the road map is very exciting and packed full of some awesome features. This is one that had me smiling like I had just won the lottery when they announced it was being worked on, and it has been a highly requested feature from the community for years. Next week the wait is over and you will be able to get your hands on this nice little addition for the .17HMR. These rounds will be additional to the current ones and cost no extra if you already own the rifle and if you have a membership they are replenished like all other boxes of ammo. 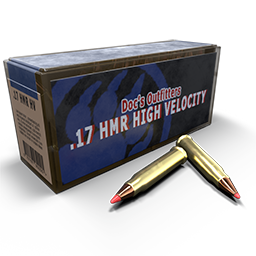 The idea is that you can now utilise the .17HMR more and having the additional ammo, adds another tool to your box while you are out there hunting. Enjoy! Join us tomorrow, 4pm CEST on Twitch for a live Q&A session with some of the Devs, they will be on stream with us, as well as in the chat with you! So write down all your burning questions and we will do our best to answer them all! I am pleased to announce that, in our next patch, which is not far away now, we will have what we hope is a fix for the WRR crash. Everything looks good on our end. Thanks so much for everyone’s patience, help and understanding. We look forward to hearing your feedback to ensure the issues have been resolved. The ‘Trophy of the Week’ is this huge Coyote which was shot by Hifisch. It has a great score of 58.244, congratulations! 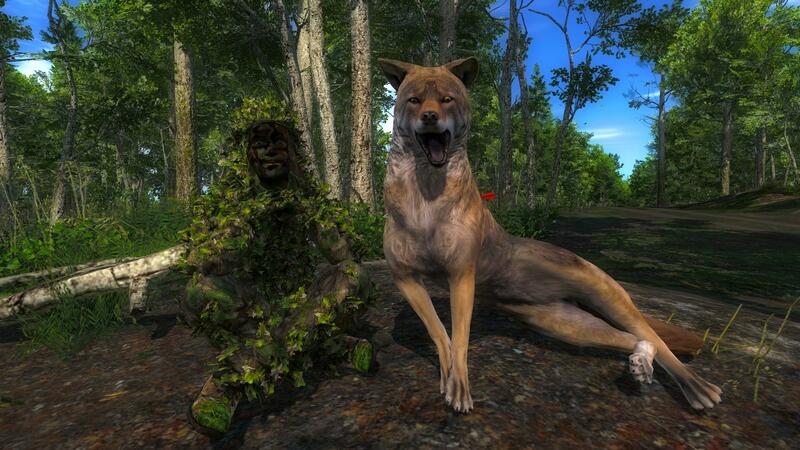 If you are unsure of what many consider a trophy Coyote, it is anything over the 56 scoring mark. 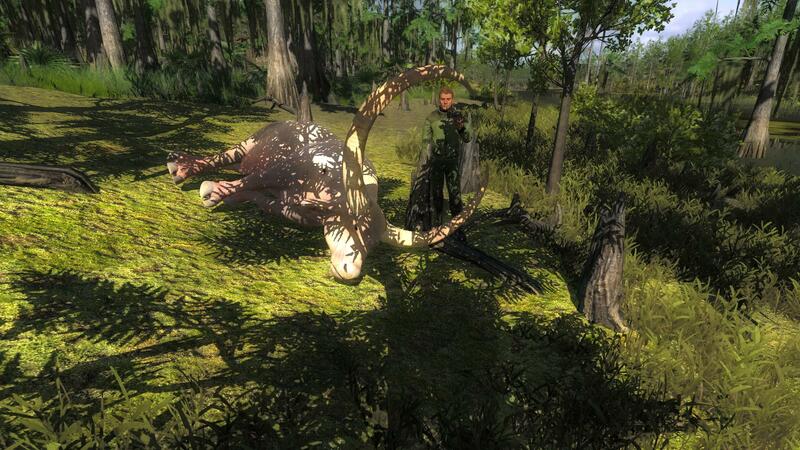 And the ‘Rare of the Week’ goes to moofers152 for this Albino Water Buffalo, which scored 240.805. An amazing trophy, congratulations and I am sure it has other hunters drooling! This week’s free rotation, which changes tomorrow, lets our guest hunters test their skills against Water Buffalo and Canada Goose. Good luck and have fun!